Regulatory changes and public pressure mean that it’s just not possible any more to rely on the long-standing practice of ash slurry impoundments. For many industry members, an ideal solution would be “walk away closure” of their CCR disposal facilities. 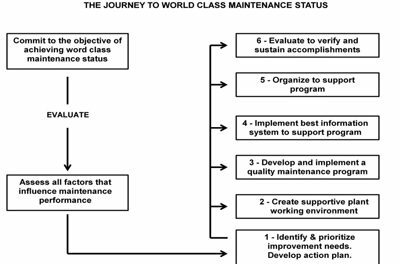 The distance toward this ideal is daunting, given the need for monitoring and management in many current systems. Most critical is the need for a satisfactory solution to minimize leachate and seepage from the disposal areas, restrict or eliminate the use of transport water, and manage the wastewater streams that may carry metals such as selenium and mercury. Working with the characteristics of the waste materials — principally fly ash, bottom ash and FGD wastewater. The CCR and the wastewater streams, particularly the FGD, must both be dealt with and become part of the solution. Flexibility in light of the fact that those materials can be either wet or dry, depending on the processes at a particular power plant. 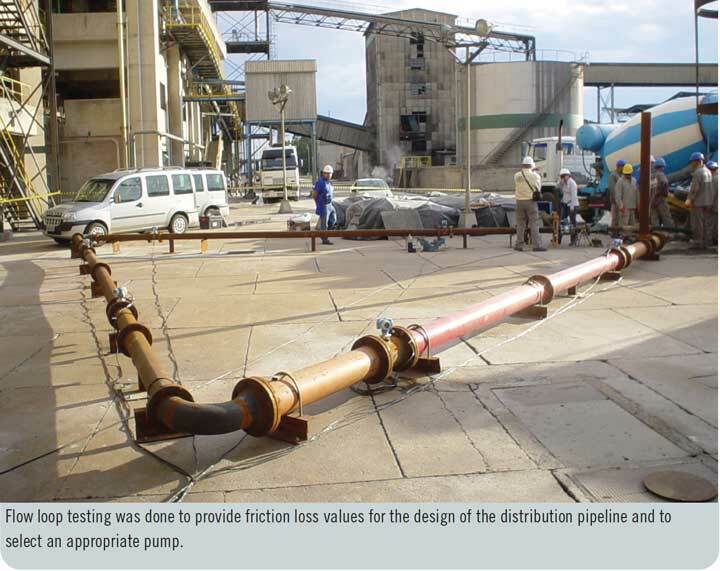 Reducing or eliminating the potential for seepage from the disposal area. Taking into account the limitations faced by power utilities, such as the need for an on-site solution that minimizes the footprint. A possible solution to the CCR disposal problem, which has been successfully applied at several coal-fired power plants, borrows technology from the world of hard-rock mining called “paste” or “thickened tailings.” Coal-fired power generation and mineral ore processing are alike in that each produces a problematic byproduct — piles of granular waste containing metals that cannot be released into the air or water. In hard-rock mining, the granular waste comes from the milling process that grinds the ore to extract the target mineral. The leftover “tailings” may contain other metals and constituents of concern that have potential for harmful impacts to surface and groundwater. Tailings also have the potential to generate and leach acids into the water. An increasingly common way to immobilize the tailings is to mix them with water and other additives to make paste. These materials are engineered into a “recipe” suitable for deposition while making use of the characteristics of the tailings. The result is a product that can resemble toothpaste in consistency, and which can be pumped through a pipeline. Paste then cures into a solid mass that effectively immobilizes the metals in the tailings, and can help prevent acid generation. 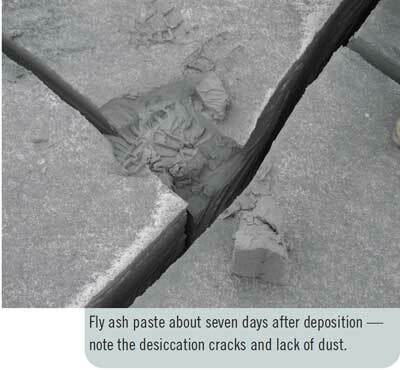 Properly engineered paste produces minimal bleed water — typically less than 10% of the volume of water in the paste. If stacked on the surface, it can be shaped into landforms and vegetated, a giant step toward the elusive goal of walk-away closure. 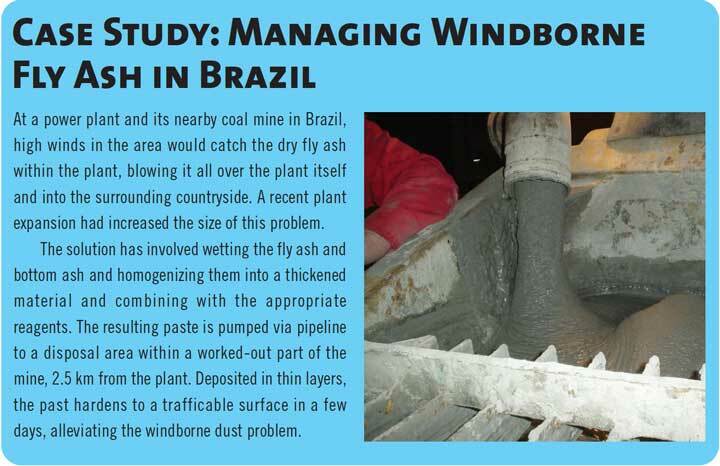 Paste is also used to backfill worked-out underground mine workings (see “Could Paste Technology Be a Cost-effective Solution for Subsidence?,” February 2015, Coal Age. This article includes a case study for using paste to backfill a former underground coal mine to allow development of the site for a housing project in Alberta, Canada). Paste is a mature technology, and its growth has brought greater efficiencies in operation, a wide range of equipment able to produce paste, and growing ranks of professionals worldwide with experience in maintaining and operating paste plants. Paste turns the water “problem” into part of the solution. Paste technology offers several advantages that help meet the concerns facing the coal-fired power sector. Works with dry or wet ash: Paste technology can be applied whether any of the three main waste streams (fly ash, bottom ash, FGD) are in dry or wet form. This gives it a flexibility that allows for use across a fleet of coal-fired power stations, or in cases where the process at a plant changes. Can use liquid waste as part of the solution: One of the attractions of the paste process is that water is required as part of the recipe — and that water can contain contaminants and still do its job. One of the objectives of the paste process in CCR applications is to maximize the use of water — water that would otherwise need to be treated. Through the paste process, constituents of concern, such as mercury, that are present in the wastewater can be immobilized as well as the ash itself. Even the most problematic constituents in the wastewater can be encapsulated. Supports progressive slurry pond closure: The paste mass can be used as a cover system for ash ponds to immobilize the slurry, giving potential for progressive closure of those ponds. This has been applied in a hard-rock mining context, but so far we have not yet used it for CCR. In cases where closure of ponds is an objective and the need for paste-making capacity is temporary, it might be best to use small, mobile paste plant. For applications where turning ash into paste is a long-term solution, the efficiencies of a larger, more permanent paste installation may be called for. Both mobile and permanent technologies are mature, robust and well established through hard-rock mining applications. Potential for beneficial reuse of property: Once the paste has desiccated (or in the case of pozzolanic materials, cured), the surface may be available for other uses, maybe as parkland, a wildlife habitat or re-use as industrial or housing property. This can go a long way to building good relations with regulatory authorities and the general public — taking a potential problem and creating beneficial reuse. While paste applications for CCR may be new to some members of the power sector, there have already been two paste plants for CCR management in the USA built by Golder Associates. This company has also been doing other work, such as testing, feasibility and conceptual studies in Brazil and the U.S. (details below). There are still some issues to be overcome with in regards to using paste technology for disposal of coal combustion residuals. Regulatory approval: While the U.S. EPA and other regulatory bodies at federal and state level may be aware of paste technology, it is still a new idea to many officials. This makes it important for any power producer considering paste for CCR applications to work closely with relevant officials on a local basis, introducing them to the idea and explaining how it works. It helps if the power utility has both internal and external resources that are familiar with paste technology and can answer regulators’ questions. There are multiple active sites in the U.S. using paste technology both in the power sector as well as the mining sector that are available to visit to demonstrate the plant, system and deposition strategies. Defining “solid” versus “liquid”: One of the issues yet to be determined is the regulatory approach to whether paste can be defined as a solid or liquid. While it is mixed in the plant to a form that can be pumped through a pipeline, paste cures within hours or days into a solid form that is trafficable and can be vegetated. As mentioned above, with minimal to no bleed water and the lack of ponded water in the deposition area, paste is not considered a slurry. It is more of a “dry” material but without the dust and additional equipment, i.e., trucks, conveyors and dozers required to move dry materials. Reducing the footprint: Many power plants are on highly constricted footprints, so space is at a premium. Also, there is generally a need to limit the amount of property that must be permitted. Coal-fired power applications using paste technology will find because of the strength in the material that “stacking” the material becomes a reality. 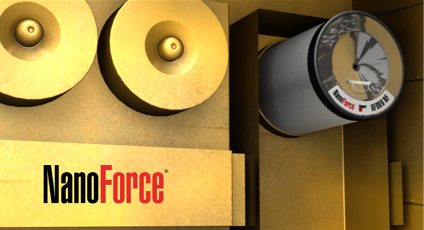 The stacking angles that can be achieved can range from 2%-7% and can greatly reduce the footprint of the containment facility or add years of life onto existing facilities. Site-specific variations: No solution is catch-all. This includes paste. 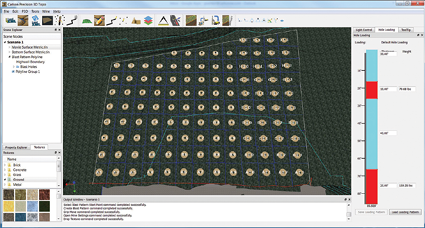 Each site and each material is different and should be considered individually. In some cases, such as a power plant that is close to an established landfill, it may be more appropriate to just truck the CCR there for disposal and treat the wastewater streams separately. 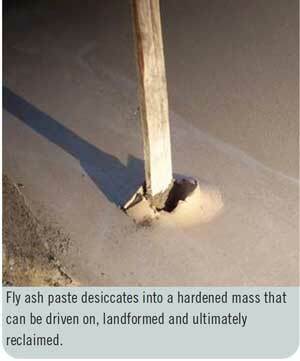 Paste is one tool in the toolbox of the power plant operator and should be considered in any option’s assessment. The key is to look at the system holistically and consider the technical, social, environmental and economic factors before making a decision. Paste technology has the advantage of being mature and well-established so that equipment is reliable, cost-effective and available from many manufacturers. There is a wide range of professionals who are experienced at its design, setup and operation, making for a good pool of skilled expertise to help the power sector apply this technology to manage its CCR disposal challenges. Sue Longo (P. Eng, MBA) is a principal in the Paste Engineering and Design division of Golder Associates, based in the company’s Calgary, Alberta office. Tel: 1.403.299.5600; sue_longo@golder.com.